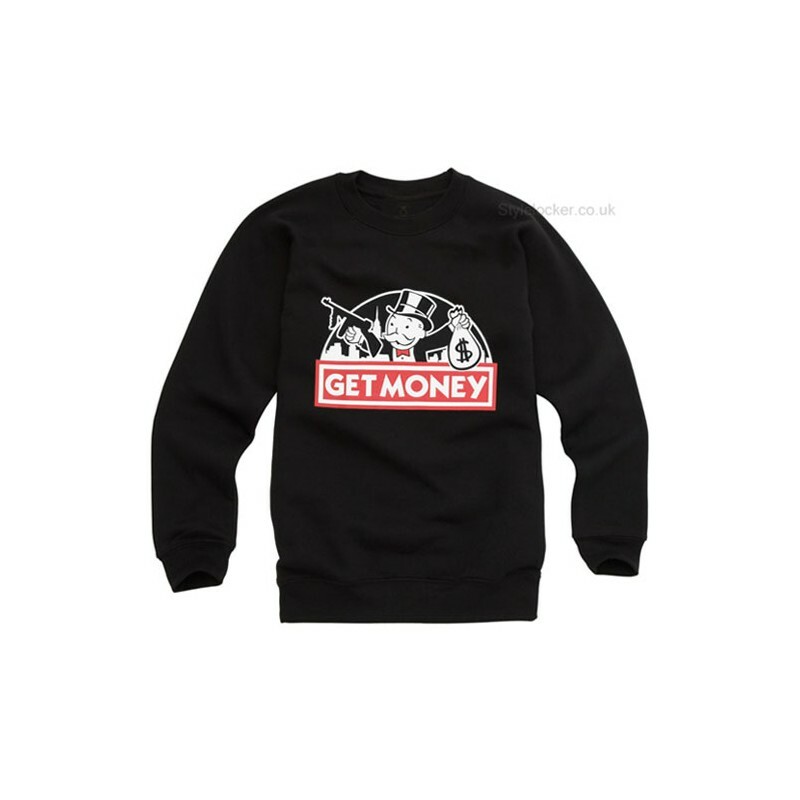 Regular loose fit sweatshirt with Get Money print on front. 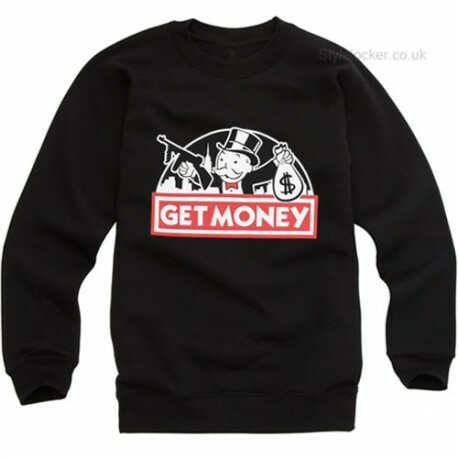 This Get Money Sweatshirt was inspired by the world famous monopoly board game, and features the significant monopoly guy on front. Though this design features the monopoly guy with a machine gun! Bought as a Birthday Present. Friend was over the moon!